Wondering how to flip a house? In real estate, flipping houses has become all the more popular thanks to TV shows such as HGTV's "Flip or Flop" and "Masters of Flip." The goal is to buy a run-down home, put money into renovations, list it on the real estate market—and profit, big-time! For real estate investors, flipping houses may have hit its peak in the bubble years leading up to the 2007 housing market crash, but this is one dream that definitely hasn't died. Many investors are still making money. However, just because you've watched a lot of HGTV shows doesn't mean that you know how to flip a house for a profit. Earlier this year, RealtyTrac reported that investors who had flipped a property in the first quarter of 2016 had yielded the highest average gross flipping profit—the difference between the property purchase price and the flip price, not counting the cost of renovations—in 10 years. The magic number: $58,250. But just how much money you make will hinge on taking the right approach—so be sure to check out these pointers on flipping houses. For real. "Stick with the age-old adage of buying the cheapest property in the nicest neighborhood," says Eric Workman, senior vice president of marketing at Chicago-based Renovo Financial, a private lender specializing in the real estate house-flipping space. But don't pick just any old shack—look for a home with "good bones,” Workman says. Translation: Look for a property that's structurally sound and has a decent roof, newer windows, and an HVAC system that's less than 10 years old, as well as modern electrical and plumbing. Next, an ideal flip should need only cosmetic changes such as new cabinets, countertops, flooring, and paint. Any other renovations will be more costly and cut into your profit on the property. "These renovations can usually be done without the delays of permits, plus the upgrade costs will be relatively fixed, helping to eliminate unforeseen expenses," says Workman. And always look for a house in a neighborhood close to public transportation or in a good school district as these properties tend to sell quickly. How much should you pay for a house you'll flip? Investors should set a goal of making a 10% to 20% return on their investment. So how do you crunch the numbers? 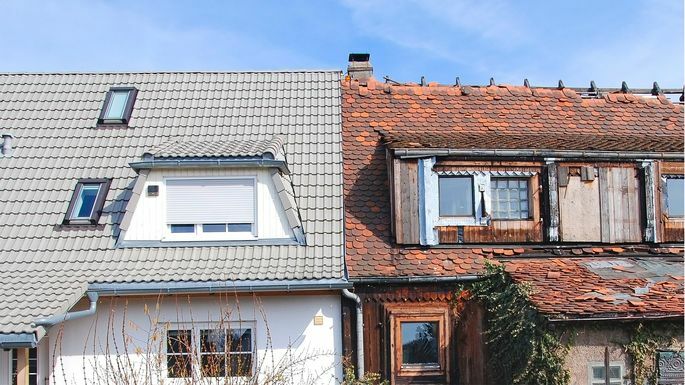 For starters, find out what your fixer-upper will sell for once you're done with it by looking at the sales price for similarly sized real estate in the same neighborhood that are move-in ready, says broker Bobby Curtis at Living Room Realty in Portland, OR. Let's say, for instance, that homes in tiptop shape in the area sell for $300,000. To get a ballpark figure for a run-down property, cut that price by three-quarters (75% of $300,000 = $225,000). Then subtract the cost of repairs (if repairs cost $30,000, that would be $225,000 – $30,000 = $195,000). That's about the most you should pay for your flip without cutting too much into the money you'll walk away with. As for financing a flip, it isn't that different from buying a regular home. You'll either pay cash or take out a mortgage—just consider going for a 10- or 15-year mortgage, which will offer a lower rate. If you're right on the money, odds are you won't own this house for long anyway. You can also acquire a hard money loan, which is simply a short-term loan secured by real estate. Getting a hard money loan is generally less of a hassle than a standard mortgage, and they're especially popular with people flipping houses who prefer not to go through the hassle of taking out a 15- or 30-year mortgage on the property. How fast should you flip a house? Don't kill yourself (or more accurately, flip yourself into an early grave) to rush your real estate flip. But also note, you don't want this house sitting around for long. Curtis recommends looking for a property that will take four to six weeks to renovate. A short deadline ensures you'll buy and sell the house in that same housing market. Plus, owning a house for less than two months keeps costs like interest and taxes at a minimum. This means that finding contractors who do quality work quickly is key to your success. For that reason, it's crucial that you do your due diligence before you hire one: Make sure to meet with at least a few contractors, and get their license number, references, and real estimates of what they think renovations on the property will cost. Keep an eye out for red flags—e.g., contractors who ask for money upfront or in cash aren't playing by the usual rules, and might be trying to take your money and run. That said, you should accept the fact that the cost of repairs will almost always run over. As such, "you absolutely, positively must overbudget" so you have a financial cushion for those inevitable overruns, says Joseph Chiera of The Realty Cousins of Poughkeepsie, NY. Design backups will also help you solve your money problems. "If you’re planning to use high-end hardwood flooring priced at $5 per square foot, have a nice backup at $2 per square foot," he adds. Here's a list of renovations and how much they pay off at resale.